Both the Metric Century and the 25 Mile Ride will follow the same route leaving the Art’s Bunker. The route will turn right on Dixie Highway (North). Take a Right on 26th (East) and follow to Bayview. Make a left on Bayview (North) and follow to Oakland Park. Right on Oakland Park (East) and follow to A1A. North on A1A to Ride Destination. Metric Century will go to Boynton Beach Inlet, regroup at the rest area, and then return following the same route back. 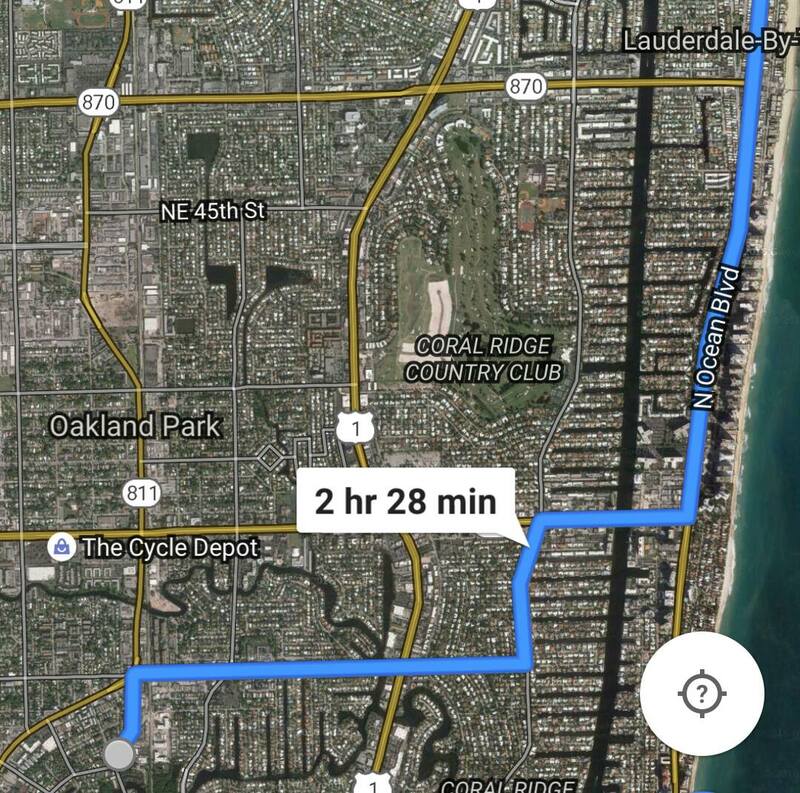 The 25 Mile Ride will go to Ocean’s 234 (next to the Deerfield Pier), regroup, and then follow the same route back. There will be SAG Support, as well as a maintenance tent located at Ocean’s 234, to help with any mechanical issues. arise, riders will be transported back to the Art’s Bunker.